This recipe is adapted from a cook book by Lisa Dupar, a favorite local Seattle chef. In the book she describes them as "crack cookies" due to their terribly addictive nature. 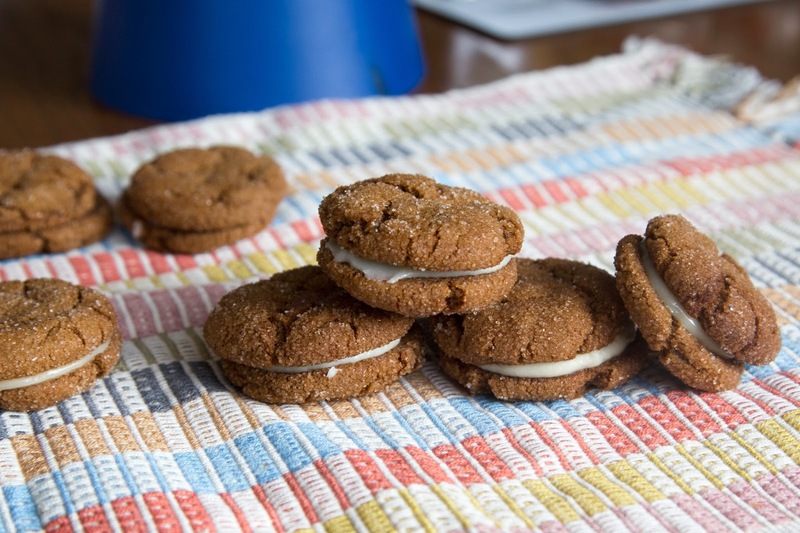 The flavor of the cookie is similar to my previous ginger snap recipe, however these come out a bit thicker and spicier. 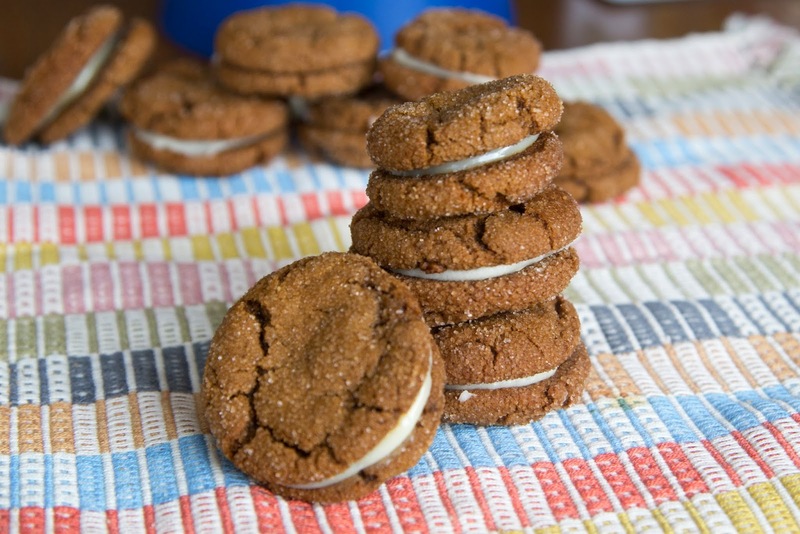 The genius addition of a cream cheese filling seems to soften the cookies and really bring the flavors all together (while also adding to their cuteness!). Each year I try to come up with something new and creative to bake for my husbands birthday. He loves carrot cake, but over the years I was running low on new ways to make carrot cake, I'd even tried cookie form! 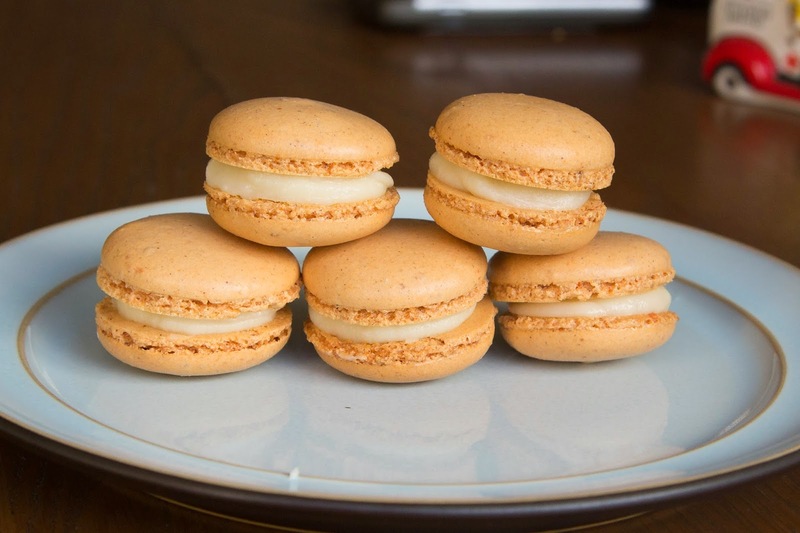 But then I stumbled upon a blog post for carrot cake macarons, which went along perfectly with my recent macaron obsession. I tried this recipe, wondering if a little dehydrated carrot can really create a carrot cake flavor, and the results were pretty surprising. Each bite is so light and airy, but somehow really captures the essence of carrot cake. These are delicious and amazing, a must for any carrot cake fanatic. 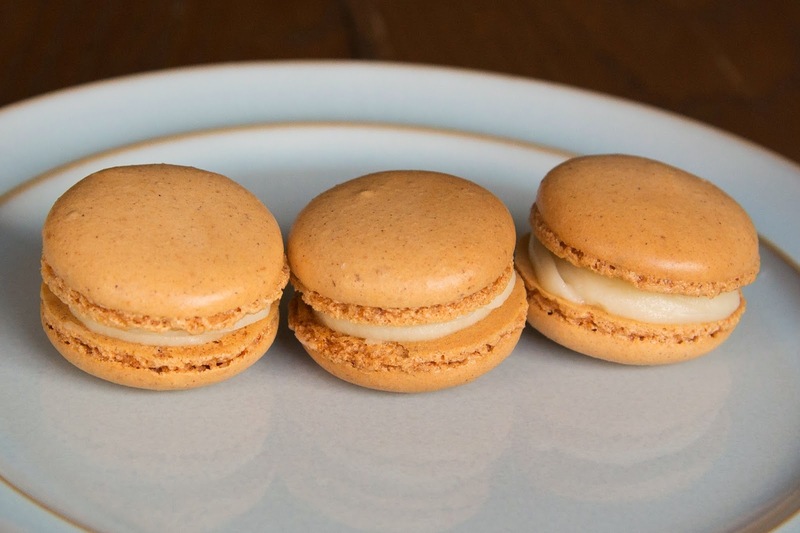 This recipe also opens the door to so many more flavor options for macarons! I can't wait to try a strawberry macaron stuffed with chocolate ganache. Looks like my macaron obsession will be carried on a few more months. Browsing facebook this time of year makes me very aware that I am sadly missing yet another girl scout cookie season back in the states. Last year I tacked homemade Samoas with great success - and found that they are very delicious home made (and not even that much of a hassle if you don't mind sacrificing the original shape). 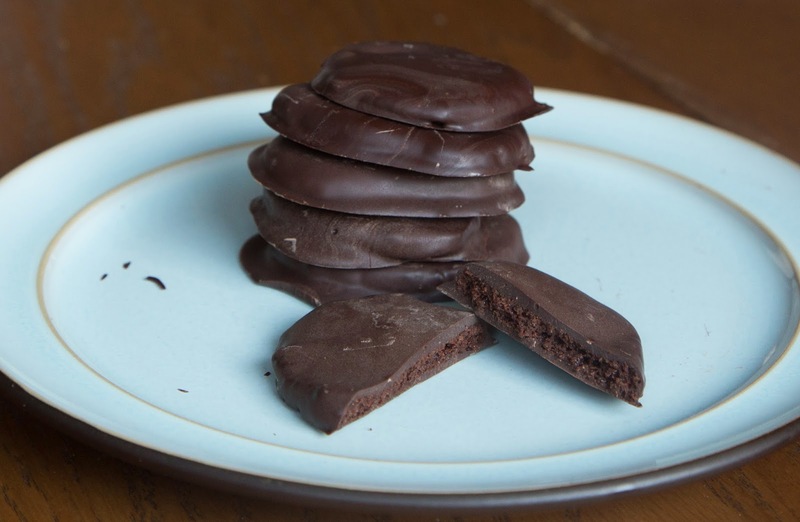 I had also previously made a few attempts at thin mints, but they never tasted quite right. So when someone sent me a link to yet another thin mint recipe this year, I decided to give it a try. 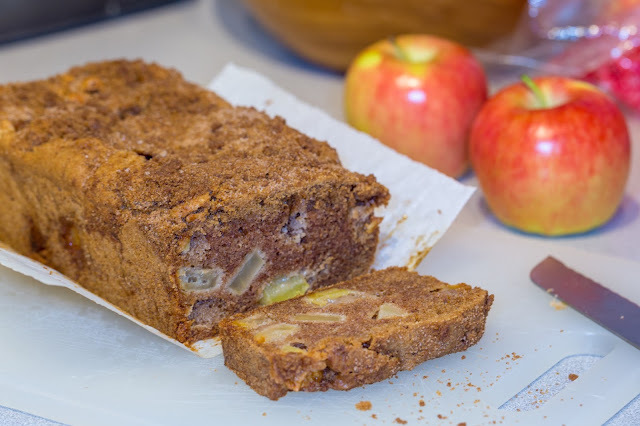 I was hesitant at first because the recipe was featured on a healthy blog, full of vegan and gluten free substitutes, and in my past experience they are often willing to substitute taste for healthiness (pretty much the opposite of my baking philosophy). But it turned out this recipe makes a perfect cookie base for the thin mint - tender, crunchy, chocolaty.... and easy! (And even better, it may make a perfect base for a home made oreo, but only time will tell...). 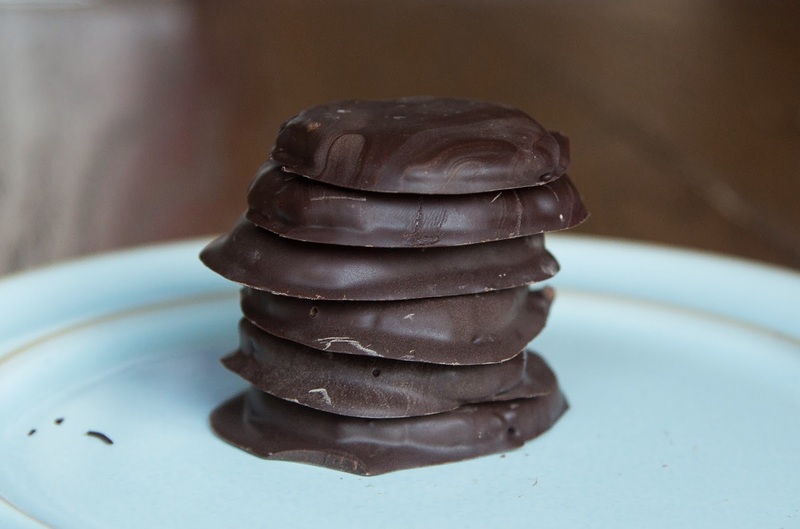 The husband even said these are better than real thin mints (though we haven't had those in a few years...) They are certainly just as addicting.